What makes these two roofing components great? Your expert roofing contractor discusses more. First, a quick review. The fascia is a board that runs along the edges of your roof, covering the rafters of the roof structure. These can also be used in commercial roofing as the outer surface of a building’s cornice. The soffit, on the other hand, is the board running underneath the eaves of your roof. It usually connects the fascia to the wall of your home. The first role of the soffit and fascia is attic security. Your attic is directly underneath the roof structure and leaving the attic exposed means critters can easily enter the attic. This can be a problem since the attic is hardly used or cleaned. It can be easy for insects and other pests to start nesting there. The soffit effectively seals the entryway into the attic. This is why residential roof installation services include these features upon installation. The secondary function of the soffit and fascia are for ventilation. One of the problems encountered by roofs is the build-up of moisture due to the shift from hot and cold temperatures. Hotter temperatures cause water vapor within the home to rise up, inevitably ending up in the rafter area of the roof. Since there is normally no way out of that portion of the roof, the water vapor gets stuck there. When the day cools down, condensation happens, which leads to moisture building up in an area of your home that can suffer greatly from increased moisture. This is why your roofer places vents around the fascia of the roof. This ventilation system gives water vapor a way to escape the confines of the rafters. In this manner, moisture accumulation is averted. The systems used by roofers in commercial roofing repair are more advanced than the systems used in residential roofing, but the process remains fundamentally the same. 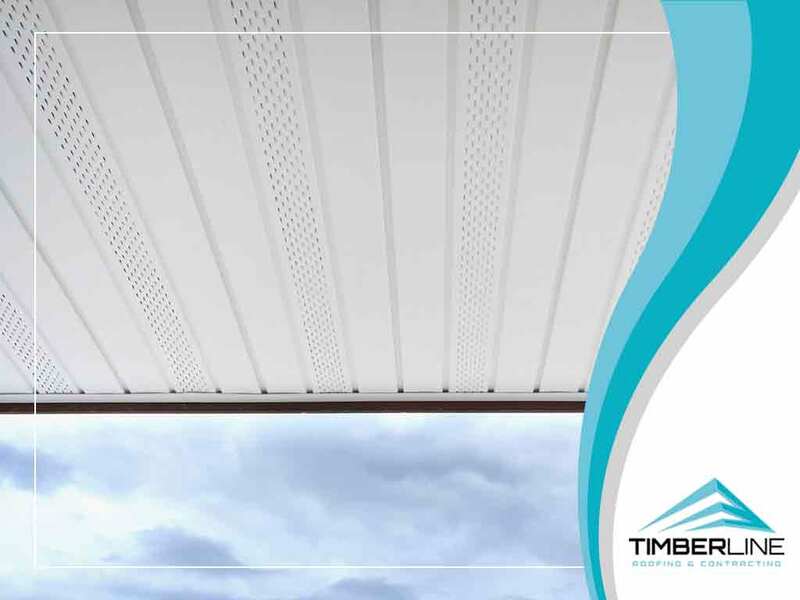 At Timberline Roofing and Contracting, we place due importance on the health of your roof’s components, including the soffit and fascia. Fill out our form to learn more about our services. We serve residents of Minneapolis, MN. Dont Hesitate. We're here to help! Copyright © 2017. Timberline Roofing. All Rights Reserved.